GBPUSD is under the influence of many news factors such as Retail Sales ex-Fuel report, Brexit, hawkish talk from Fed officials and the closing of major markets in Europe for Easter. 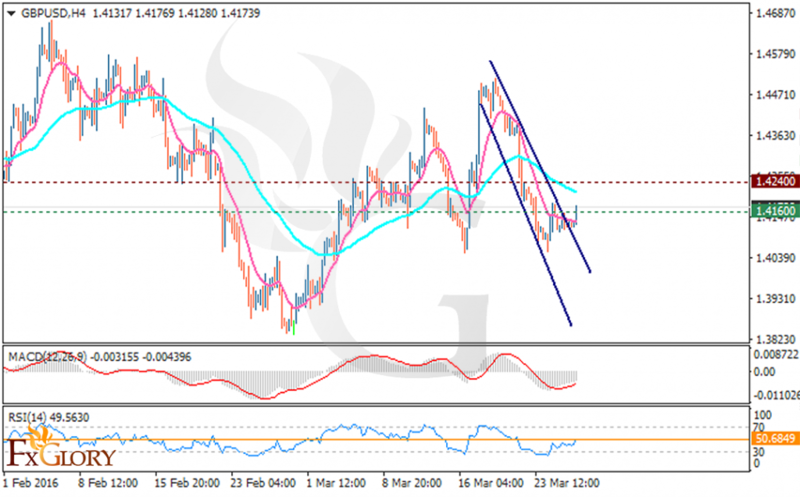 Support is resting at 1.4160 with resistance at 1.4240. Over the last ten days the price has been moving within the descendant channel marked in the chart and there is good chance that it continues its downward trend. The MACD indicator is in negative territory showing the price consolidation and the RSI indicator is below 50 suggesting a price decline. Moreover the EMA 11 is below the EMA 56 confirming the price fall. If the support at 1.4160 is broken, it will go lower and reach 1.4000.